(A) The line is a vertical asymptote. (B) The line x = 1 is a vertical asymptote. (C) The line is a horizontal asymptote. 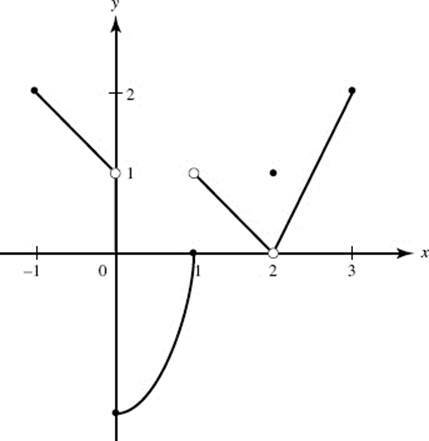 (D) The graph has no vertical or horizontal asymptote. (E) The line y = 2 is a horizontal asymptote. 35. On which of the following intervals is f continuous? 38. Suppose and f (−3) is not defined. Which of the following statements is (are) true? II. 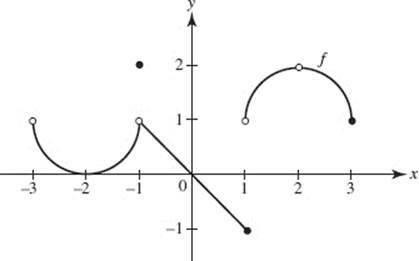 f is continuous everywhere except at x = −3. III. f has a removable discontinuity at x = −3. Questions 40–42 are based on the function f shown in the graph. 42. 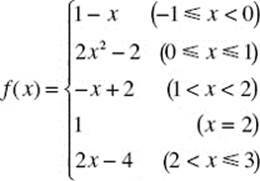 Which statements about limits at x = 1 are true?